This 5-star remarkable waterfront residence is situated in the pre-eminent location of Dubai Creek Harbour, flanking to the new Palace Hotel. The Palace Residences apartments by Address Hotels & Resorts, brag a variety of eating choices and luxurious hotel services. 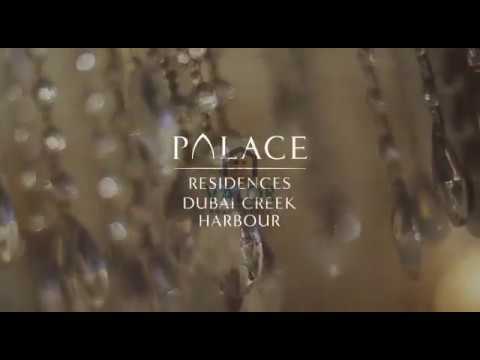 Palace Residences Apartments at Dubai Creek Harbour are situated on the doorstep of Dubai’s future global icon, giving you an unparalleled investment asset. The Crowning Point of Creek Island Dubai. Palace Residences going to be one of the most in-demand locations in Dubai because of having an iconic view, waterside living, access to Palace Hotel facility and adjacent accessibility to the pedestrian bridge leading to Dubai Creek Tower. Palace Residences, quality of living and modern luxury development, features 1, 2, 3 and 4 bedroom apartments with balconies.